Public Employees for EnvironmentalÂ Responsibility (PEER) broke theÂ storyÂ that a recent EPAÂ auditÂ of NJ DEP environmental programs ripped DEP’s continuing poorÂ performance and lack of effective oversight of polluters. We thank our friends in DEP for outing this bad news, that both EPAÂ andÂ DEP would have swept underÂ theÂ rug – you never Â see this stuff in the avalanche of EPAÂ andÂ DEP press releases. An audit by the federal Environmental Protection Agency found the state Department of Environmental Protection still hasn’t made fixes promised since 2006 and detailed extensive shortfalls in New Jersey’s toxic-site cleanup [Note:Â andÂ wetlandsÂ andÂ other]Â program. 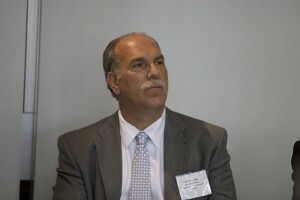 Bill Wolfe, a former DEP analyst who is now director of the New Jersey chapter of Public Employees for Environmental Responsibility, said the DEP is failing to meet minimum federal quality and performance standards. NEW YORK, NY August 28, 2009 â€”The US Environmental Protection Agency is citing problems with how New Jersey’s Department of Environmental Protection monitors thousands of contaminated sites. WNYC’s Bob Hennelly has more. 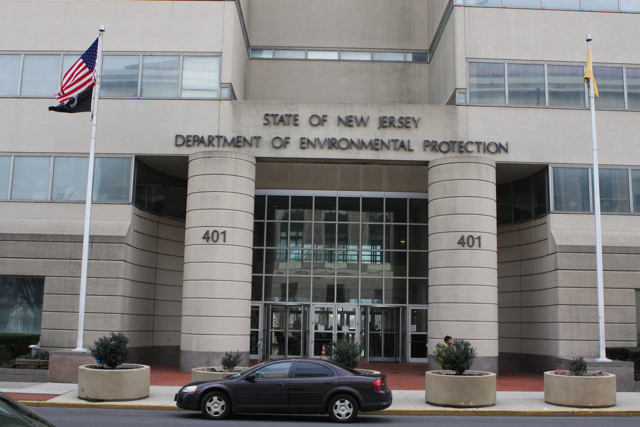 REPORTER: The EPA Region two audit of New Jersey’s DEP says the state lacks basic quality controls to ensure the accuracy of its testing and monitoring. As a result the EPA found “potentially significant vulnerabilities in how the DEP collected data to back up its own decision making“. Bill Wolfe, is a former career DEP analyst, with the Public Employees for Environmental Responsibility. WOLFE: The point of the audit is that the state has no basis to tell the public that they have the confidence that the decisions that they are making are really sound scientifically and actually protect the public health. REPORTER: A DEP spokesperson says the agency is still reviewing the EPA findings. The federal review covers the time that current EPA Administrator Lisa Jackson was in charge of the New Jersey’s DEP. Her office had no comment. For WNYC I’m Bob Hennelly. A federal audit of New Jerseyâ€™s Department of Environmental Protection identified what it called â€œsignificant shortcomingsâ€ in how the DEP operates, especially in the division that handles contaminated site cleanups. The DEPâ€™s site remediation program doesnâ€™t provide proper oversight of contaminated site cleanups because program officers donâ€™t follow up with field audits or internal assessments, according to the federal Environmental Protection Agency report, released Thursday. Â This latest EPA audit follows a scathing 2008 EPA Inspecor General’s Report that prompted EPA to take over a number of toxics site cleanups due to years of failure by DEP -Â see EPA IG Report here. MoreÂ shoesÂ to drop in this story – we will keep you posted. New national mercury research confirms NJ’s experience – another nail in coal’s coffin? Think coal: Global warming. Mountaintop removal. Sludge impoundment blowouts. Poisoned waterways. Acid rain. Smog. Unsafe mines. Exploited workers. Devastated communities. The most recent nail in coal’s coffin? An important new study by the US Geological Survey was released this week. The study documents extensive mercury pollution due to coal power and provides a huge test of the Obama administration’s commitments to develop strict new mercury emissions controls at the nation’s dirty coal power plants. The key policy issues? The inside political history? Will EPA Administrator Lisa Jackson propose the equivalent of NJ’s strict State emission standards on the nation’s coal power plants? What was Christie Whitman’s role in the NJ mercury issue? How did it shape her response as EPA Administrator to accommodate energy and coal interests during the Bush years (recall the Orwellian “Clear Skies” that was slammed by NJ officials)? No fish can escape mercury pollution. That’s the take-home message from a federal study of mercury contamination released Wednesday that tested fish from nearly 300 streams across the country. The toxic substance was found in every fish sampled, a finding that underscores how widespread mercury pollution has become. The study by the U.S. Geological Survey is the most comprehensive look to date at mercury in the nation’s streams. From 1998 to 2005, scientists collected and tested more than a thousand fish, including bass, trout and catfish, from 291 streams nationwide. This USGS study also confirms scientific research and regulatory standards adopted in NJ over 15 years ago. Few are aware of this history. It can provide important insights into the current national policy debate. Fifteen years ago, former Bush EPA Adminsitrator Chritie Whitman had extensive direct involvement with mercury as NJ Governor. Whitman’s NJ role foreshadowed her actions as head of the Bush EPA, which delayed and then proposed a weak mercury emission rule that was overturned by the courts. Current EPA Administrator Lisa Jackson served as NJ DEP Commissioner. Jackson was Assistant Commissioner for Land Use when her boss, Brad Campbell led NJ DEP to adopted a strict emission standard for coal plants in 2004. Jackson’s EPA is now considering that same issue and developing a national proposal to regulate mercury emissions at the nation’s dirty coal plants. So, with the former and current head of EPA both coming from NJ, I’m sure we will hear the standard line about NJ’s environmental leadership. But instead of the press corps merely parroting this talking point on NJ’s leadership, the press and the public should be doing some digging and asking tough questions. So, let’s take a closer look at the NJ history in light of the current debate. The mercury issue first arose in NJ in the late 1980’s in the fight against garbage incinerators. In 1990, Governor Florio Administration issued an Executive Order that imposed a moratorium on garbage incinerators and created a Mercury Task Force. In 1993, the Florio Task Force issued a 3 Volume Report that provided the public health and scientific bases for DEP to adopt what was then the strongest mercury air emissions standards for garbage incinerators in the world. While the initial focus was of the Task Force was on garbage incineration, the Report also announced plans to expand emission standards to coal fired power plants, another major mercury source. At the same time, DEP engaged the Philadelphia Academy of Natural Sciences to study levels or mercury in freshwater fish across the state. The Florio policy and plans to regulate coal plants were derailed in 1994 by the Whitman Administration and new DEP Commissioner Bob Shinn. Their actions set back NJ for over a decade. It took 10 more years before NJ got back on track and finally adopted standards on coal plants in 2004. Because of that Whitman/Shinn delay, we will be paying for that with our children’s neurological impairment as a result of mercury poisoning. 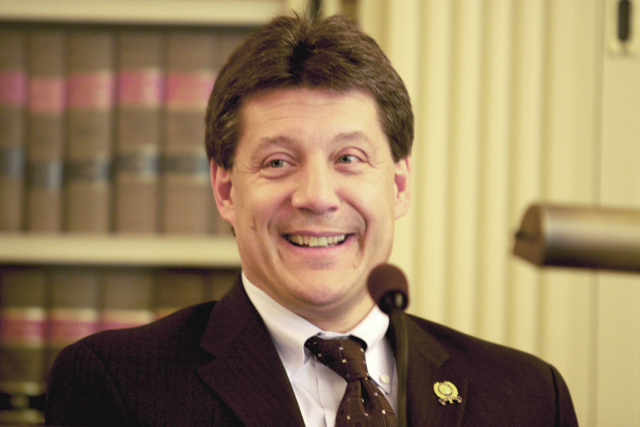 Shinn was a strong supporter of garbage incineration and personally reversed the Florio policy. Shinn was also close to the state’s recreational fishermen, who were hotly opposed to the fish studies. Whitman was “Open for Business” and politically sympathetic to PSEG and state power utilities that operated coal plans. 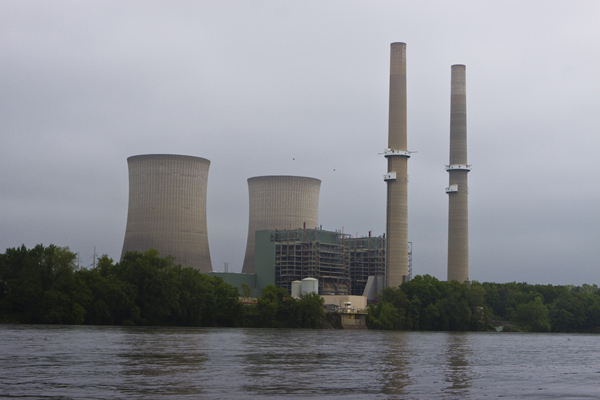 A major new coal plant was proposed along the Delaware River (Crown Vista). Mercury was a fly in the Whitman/Shinn ointment. In early 1994, at the start of Whitman/Shinn regime, a DEP study conducted by the Philadelphia Academy of Natural Sciences was leaked to the media and reported widely. The leaked study was page one news. The study documented statewide unsafe levels of toxic mercury in NJ freshwater fish. Widespread press coverage cast DEP and the Whitman administration in a negative light. In response, Governor Whitman sought to downplay the risks of this study. Environmentalists accused the state of ignoring its mercury problem, and the press blasted the Governor. Whitman responded and compared the mercury in fish risks to the recent public reaction (“scare”) to media reports of the health risks of the pesticide alar on apples. The apple industry suffered huge economic losses as demand fell in response to the alar story. Whitman felt the public’s reaction was unwarranted, and unfair to the apple industry. Whitman sought to avoid a similar situation in NJ. To do this, the Governor and DEP Commissioner came up with a plan to mislead the public by saying that the Philadelphia Academy study was preliminary and inconclusive. The Whitman scheme relied on a bogus and knowingly false claim that the form of mercury found in the fish was unknown and therefore required further research before taking any action. Whitman and Shinn did not make honest mistakes or minor misstatements. Whitman’s public statements, extensively quoted in the press, were part of a strategy to falsely inject scientific uncertainty and minimize health risks in order to avoid taking regulatory against specific pollution sources of mercury (garbage incinerators and coal fired power plants). Whitman was denounced by environmentalists in the press for this. When this scientific research was leaked and a coverup strategy memo were disclosed to the public by the press, Whitman not only repeated the lies but also retaliated against a career DEP employee who called her on those lies. * Organic Mercury. Methylmercury is the most important organic mercury compound in terms of environmental exposure. 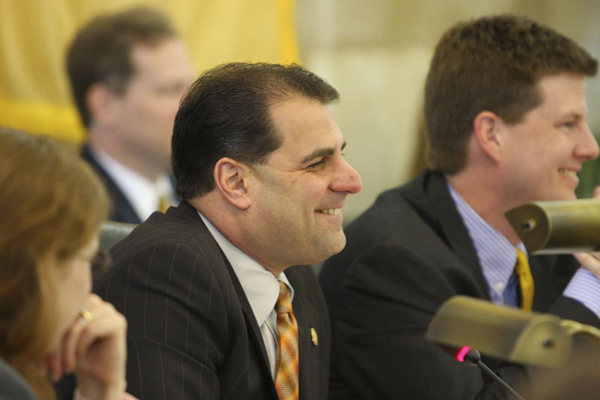 The latest corruption scandal in NJ hasÂ receivedÂ widespread press coverage and calls for reform. Importantly, for the first time, corruption has been linked to its impacts on theÂ environmentÂ (see: Bergen Record:Â Builders call the shots; andÂ DEP E-Mails follow lawmakers request; Star Ledger:Â N.J. environmental groups call for investigation of DEP in light of corruption arrests;Â Courier Post:Â Groups call for Probe of DEPÂ Â and Star Ledger editorial:Â Consider CleanGreenNJ’s call for a DEP government cleanupÂ (theÂ CleanGreen NJÂ reformÂ platformÂ backed by the Star Ledger can be foundÂ here). What went on during this Senate hearing is effectively as corrupt as the behavior of Â Assemblyman Van Pelt (who bragged â€œDEP works for meâ€Â andÂ that heÂ “knew the â€œright guys,â€ at DEP and how to â€œworkâ€ the â€œchannels.â€)Â andÂ Assemblyman Smith were criminally indicted for. cut open and remove the internal organs of. Conservative Star Ledger columnist Paul Mulshine gets it right – like a stopped clock tells the correct time twice a day. Today, he wrote about a development in West Orange. This column managed to put together almost all the pieces of corruption in NJ’s perverse pay to play pro-development political and legal landscape.